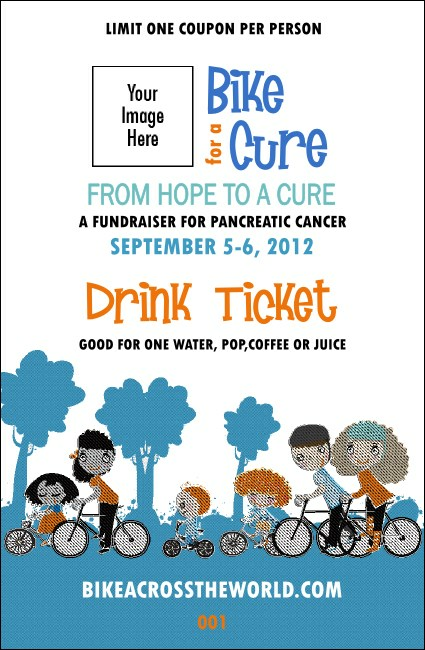 Help your riders stay hydrated and keep their electrolytes in balance with these colorful Bike For Cause Drink Tickets. They’re perfect for a quick stop at the feed zone. Each ticket features a family-friendly scene with riders of all ages, smiling as they join in on the fun. Upload your own image for a unique look. Take the lead with Event Kits from TicketPrinting.com!